Back then, gardening was something that every one used to do without the need for any convincing. But nowadays the situation is such that one has to be given reasons why they should do something that is going to be good for them. Duh! Here are 15 reasons why you should grow your own vegetables. There could be more, but do you really need more? Come on! TL;DR ( if you don’t have the time to read fully, a gist is below). You may ask how? Vegetables, when you grow them yourselves, lots of things differ. The way you harvest them, the time you harvest etc. E.g. Tomato. The market tomato is harvested when it barely turns red. Actually they are harvested when the fruit skin is very thick, so that it can handle the brunt of our bad roads during transportation to the city. 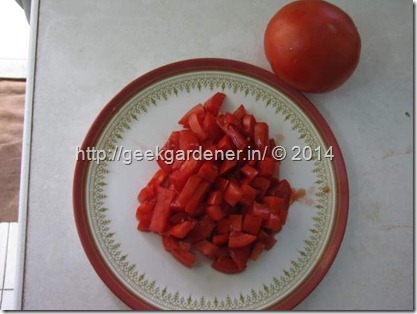 Vine ripened tomatoes are those that are let to ripen on the plant and you harvest them when they turn red. Vine ripe tomatoes melt in your mouth. Naturally, they are easier to cook as well. Plants that are well taken care of, yield fruits that are healthy and nutritious. With the right usage of compost and fertilizer, one can feed the plants just what they want and when they want. This leads to proper nutrition to the plants in turn balanced nutrition in the crop. Pale leaves of Spinach, patchy ripening in tomatoes are signs of deficiency of nutrients in the plants they are harvested from. If the vegetables you consume are not complete in their nutrition, what’s the point of consuming them? This is one tricky beast. In my experience, cost of growing a vegetable yourself might be a little more than what you get in the market. But don’t let that fact blind you. It is not what it looks like. I would like to explain it in detail with few case studies and also with a dash of philosophy. Lets say you are growing Spinach. We all know spinach is something that’s little hard to get in fresh condition and in a condition that is safe for consumption. 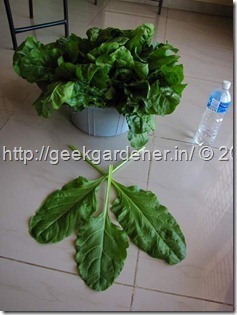 A while back, I had few businessmen walked into my place wanting to see my spinach grown in hydroponics. We talked about growing veggies in detail and at the end, I cut a few bunches of Spinach for them to take home as a gift. There I was, holding a big bunch of Spinach leaves in my hand. I had jokingly asked them “How much would you pay for this?” After I asked they looked at the spinach one more time and “ah.. I can give may be Rs 15 a bunch”. Certainly not what I had in my mind. I mean really after all my hard work and the best-looking spinach with fresh huge leaves? Just 15? Then before handing him that bunch, I weighed and it was a good 200gm. Noted! My answer to them was “you taste this and tell me how much you would pay!” and they left. Next day, I get a call at 7am in the morning. I picked the call and it was none other than our guest to whom I had shared spinach yesterday. He said something that totally made my day. “Mani, I haven’t tasted this good spinach in the last 30 years. I am from a farming family and we used to get this quality back then”. He also added that he cooked the spinach without any spices so as to not eclipse the original taste. He didn’t tell me how much he would pay for that, but the answer was evident. Next day, I get a bunch of spinach from the market priced at Rs 15 per bunch. 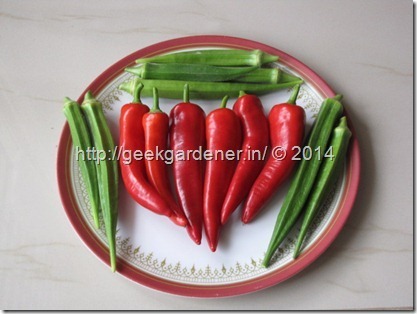 We sit and process it for cooking, while doing that we took some photos to compare it with our homegrown. To my surprise, the store bought spinach, though it weighed 200gms, by the time we removed the roots, soil and a little bit extra stem just to be sure to not add some soil particles came to about 65 grams. Where as the spinach I gave them is 200 grams with roots, dirt, etc. Now tell me what’s the price. This applies to most of the crops. Also every item has two things to it. One is price and other is Value. Price is absolute but value is perceived. For that gentleman I gave spinach to, it took him back in time. Sometimes value is priceless. Homegrown veggies carry more value than price. You grew them. Period. This is more important than it sounds. One day, I had a reporter come over to my house for taking some pics of plants with fruits. I suggested him to take few pictures of Brinjal and tomato. He asked me something. Reporter: “Tomato, fruit comes above the ground or below”. No offense but this situation is little dangerous. The rate at which our cultivable lands are decreasing, our only hope is to be self- sustainable in at least some of the crops. Gardening is not rocket science, lets not make it so. If you don’t learn to garden today, in future you might have to do it the hard way! Start today, start now. I need not explain this. The whole world is going towards “safe food”. What is safe food? 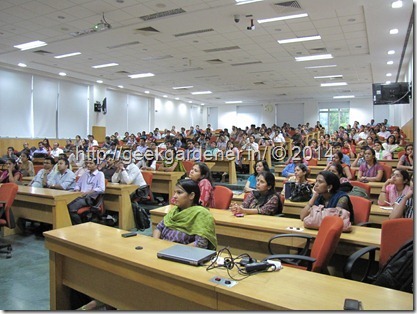 Food that is raised without pesticides can be termed as safe food. While there are many organic outlets selling vegetables at a higher price for their organic nature, it is often sold without any certification or the guarantee one needs for a veggie to be “organic”. Of course, testing the produce is one way to find out if there are pesticide residues in it but it is impractical to do it every time you buy them from the market. 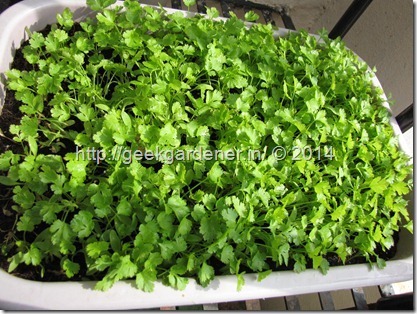 Growing the veggies your self, is the only way to guarantee the safety of the food. When you grow the plants, you know exactly what goes into it. This is interesting topic, choice of vegetables. Choice is something special. People have their own taste, be it clothes, movies, songs, location of food, nothing can be generalized. That’s why you see million designs of clothes etc. Take a step back and focus on vegetables. Just one or two varieties of each veggie? Potato for e.g. How many varieties you have eaten? Tomato is another e.g. 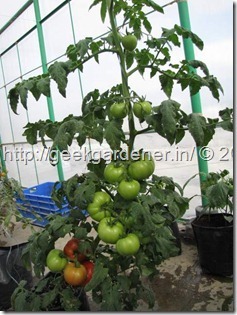 There are close to 500+ varieties of tomatoes, I bet you would have eaten just two or maximum three varieties. 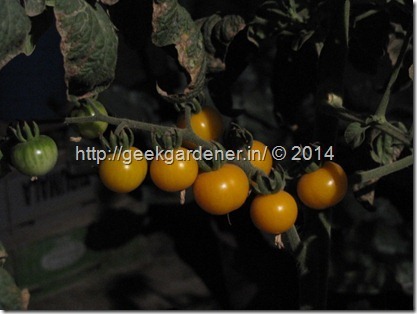 Market has naati, hybrid and cherry tomato. So who decides what I eat? Seed companies! 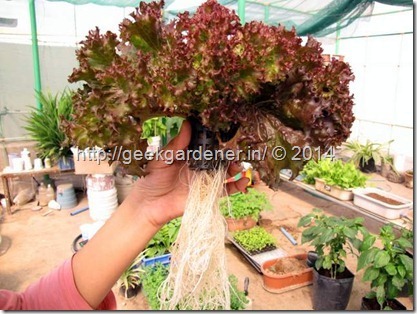 There are varieties of vegetables bred for long storage life and thick skin for the ease of transportation. Point taken. But are those the only required characteristics from a tomato? How about Nutrition? There are fine heirloom varieties that have more nutrition than any other varieties. We cannot expect the farmer to grow 10 different varieties; they have their own troubles. That means only you can grow what YOU want! Go ahead! The choice is yours. Another no-brainer. If you have a garden, you can have veggies anytime of the day or night. Some customers who walk into my store tell me that starting a garden was the best thing that happened. In that, they were able to not only take whenever the want but how much ever they want. If you were to go to a shop you cannot just buy a couple of stems of mint for flavor. You have to buy the whole bunch. Same case with most of the herbs/exotics. 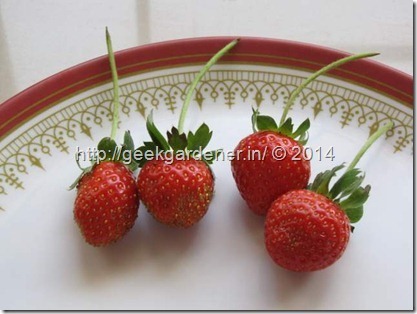 Several times, I used to pluck few strawberries from my garden during my morning time in the garden. Any gardener will readily agree with me on the therapeutic nature of garden. Lush greenery calms our mind. If you have a park at your home why do you need to go outside and if your park can give vegetables, then there is nothing like that! Nowadays, there are many themed gardens coming up and therapeutic gardens are one of them. 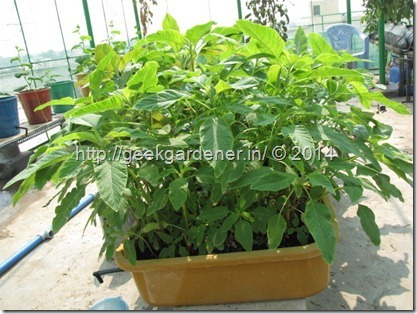 Imagine a walk through your garden filled with aromatic herbs, plants with yields etc. Also, gardening gives you much needed fresh air and also the some outdoor time under the sun. There is no doubt that gardening is one of hobbies for many but do you also know it is #1 hobby in some countries? As per National Gardening Survey in the US, gardening is grown to become top hobby in the spring. Gardening keeps your mornings peaceful and also there is nothing mundane about gardening. It gives you changes everyday. It has a lot to offer for everyone. After you start a garden, you will wear lots of caps. Plumber cap, electrician cap, farmer cap etc. Nowadays, I am working on automation system circuit design. Its lot of fun and in the coming posts I will post about some of the circuits like soil moisture sensor, irrigation timer etc. This is a subjective matter but time spent on gardening is way better than most other entertainment. Parents and kids get a chance to work together in gardening. I have received mails sometimes that gardening has helped them to come out of depression. Techies find it de-stressing and can be compared to yoga. Being eco-friendly is not just wearing a green tee or carrying a jute bag for shopping or doing your bit by switching off lights you don’t need. We need to do much more than that. Get off the couch and start a garden. 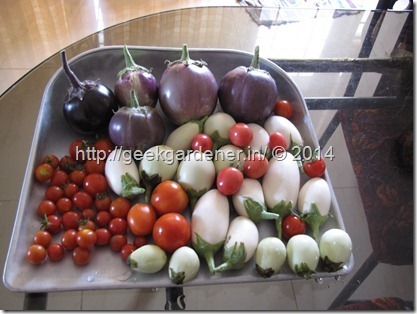 Starting a garden brings down the number of trips you make to vegetable market. It reduces the amount of electricity your refrigerator uses to keep your veggies “fresh”. Don’t go to gym, head to your terrace. Gardening is same as going to gym and you also get veggies. When you have a garden, you simply reduce your dependency. Depends on what you grow, your benefits might vary. For e.g. 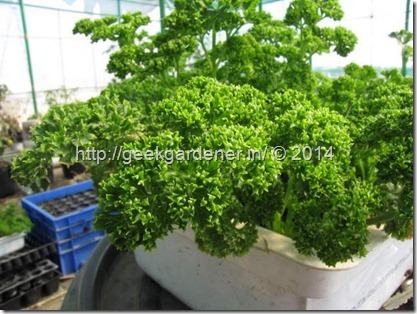 if you are growing something you don’t get easily outside such as Celery. Unless you are in a super-duper market celery is hard to find. The only way to reduce your dependency is to grow it yourself. Several expats/NRIs who are my customers grow such crops for this single reason. The other day I visited a super market in Indiranagar. The price of a bunch of celery was a whopping INR 1200. I am not kidding. Turns out it was imported. Paying 1200 for a bunch of celery just because it travelled seven seas just don’t make any sense in a country that receives ample sunlight round the year and also happens to have agriculture as the backbone! I have noticed one thing when you use homegrown veggies for cooking. Wastage is so less. Most of the wastage happens when people want to make sure that there is no dirt on the leaf/fruit. Because it is homegrown, we tend to value it more than anything. Remember I wrote about price and value? Value plays a major role here. At current rate we are taking over cultivable lands and maxing out on the limits of our non-renewable resources, we will very soon have to go back to where it all began. Eat what you grow and grow what you eat. The vegetable prices are soaring mainly due to transportation. Decouple yourself from this dependency. Teach your kids/friends to garden and they will find life much easier, healthier and happier. They will thank you, just like I did. Last but not the least, gardening brings you lots of joy. You have to be a gardening to see what I am saying! I hope these reasons are more than enough to give you the necessary push to start a garden. November – Sowing season How to grow Radish in Containers Container choices Seed Starting Spinach – Howto Videos Organic – Hybrid – Open pollinated – Heirloom – GMO seeds? I have a hard time trying to grow vegetables. nothing really grows. I tried spinach. it never grew above 3 inches. we tried less plants , various quantities of organic manure. So ultimately we gave up and thought of growing one thing at a time. we grew two creepers since its almost rainy season . one of some local beans and other bottle guard. As the creepers grew, beans developed holes and yellowing aroung those holes. bottle guard creeper leaves kept on growing yellow from the bottom while new leaves were perfectly green and healthy. this kept on happening till it grew 2 feet and utlimately dried from down to Up. Do you have any idea about it? we used good amount of organic manure from native village. Very inspiring and convincing, Manikandan! even 15 minutes of weeding, digging some good old dirt or just looking at your plants has such a rejuvenating effect. been wanting to come to your shop for the small hydroponics kit. will come this weekend. It is very interesting and a type of addiction. I moved to a newly constructed house 4 months back. Till that time I used to spend lot of time while overseeing the construction. I always dreamt to have a garden on terrace, but i never thought it is a kind of addiction. Now I spent mimimun an hour daily in the terrace. Some times just seeing the plants!. I am being brainwashed by your blogs and I am thankfull for that. I have started to compost at home, i have grown Menthya, mint and coriander already. My joy was unlimmitted when I saw a small brinjal in the plant. That scene is awesome, budding brinjal having the dried flower at the tip!. You are absolutely right. It is not the cost, it ss about the happyness, joy one will experience while growing. I am very new to gardening. my Sevanthige is having white pests, and not grown from last 3 months at all. There will be disappointing times whle gardening, but its a whole new expereince. Could you please explain what is the right fertilizer and nutrients needed for each commonly grown plants in the terrace. I had been following your site for more than year and to say you it had helped me in many ways when growing veggies and herbs at home.. 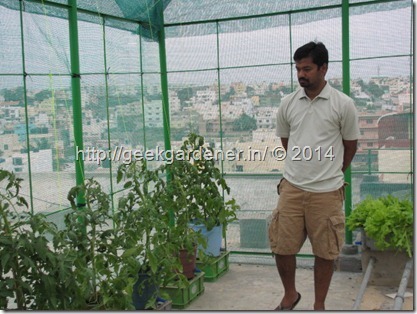 Though I have sunlight limitation, I love growing veggies..so as of now my balcony is green fully!! I have one query if you could pls help..recently one tomato plat has come well in my pot, it looks healthy and bearing flowers..but none of them turning to tomato 🙁 I also added compost and chuna water near roots, but no luck 🙁 will you pls help me with some pointers??? Its a very inspiring article indeed. I have been following your blog for the last year or so. 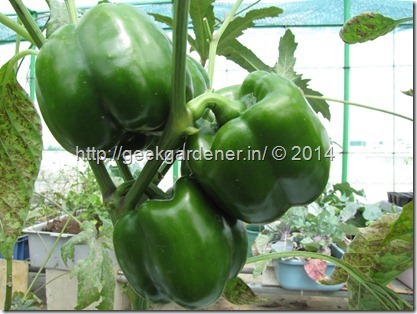 It is a great resource for India-specific fruit and veg growing info. Thanks for the nice words. I am really not sure on whereabouts in chennai for such seeds. 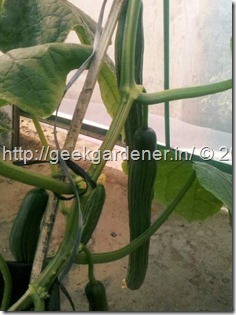 You can make an online purchase at http://gardenguru.in/ for all the vegetable seeds. Well Said… Good article to read. Talking about Eco Friendly, we can avoid lot of transportation and thereby avoiding fuel usage! I started growing veggies on my terrace and so far it has been good. But my long beans plant is infested with ants and nothing seems to work to get rid of them. They have blackened the vine and the vine has stopped growing. Any tips to get rid of them? 1. After the nutrients in the solution reduce, is it a good idea to replenish the solution? 2. How safe is the produce for regular consumption and in a long run? I am asking the second question in terms of health effects and also because as we are directly growing the plants with growth boosting solutions. I understand that the veggies that we get in the market are even worse in terms of chemicals and fertilizers, but this is just to ensure safety. your blog post is quite inspiring and meaningful to the youth. I belived your’s is one among the few best blogs i have come across. Keep writing. Thanks for this post and sharing your experience, I wish to make my own garden , when I will be back in India from abroad after 3 month :).Really inspiring.